At the core of every great gaming computer lies an exceptionally fast processor. Calculating and decoding all the instructions from the video card and memory, the processor works at a super fast speed. However, this speed comes at a price; excessive heat is produced and this is the Achilles’s heal to a gaming computer's performance. 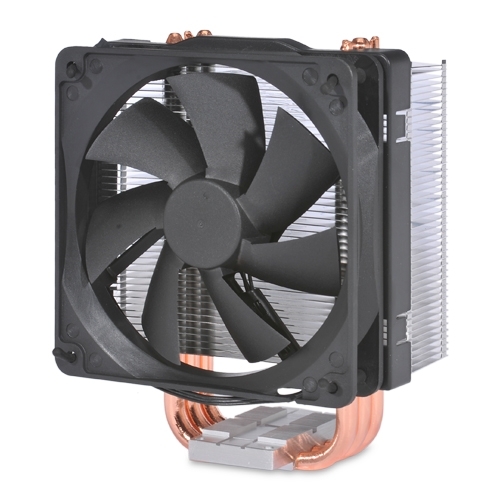 Installing a good CPU fan to ensure proper cooling is essential for a high quality gaming computer. CPU fans are produced with certain processors and socket types in mind. A typical CPU fan will list specifically on the package what socket type and processor is recommended for its use. Trying to use a CPU fan with a processor that produces more heat for which the fan is rated is a bad idea. For example, if you have an AMD Phenom II X6 1100T processor and your CPU fan is designed to operate with an AMD Phenom II X4 CPU, this could mean trouble. With the faster processor speed comes more heat production and requires a better fan to keep the CPU cool. One of the top CPU fan producers is Zalman. Not only are their fans reliable but they also operate at a quiet noise level. The last thing you want to hear is the sound of a Boeing 747 taking off while you are trying to enjoy a computer game. For a great top of the line CPU fan, look no further than the Zalman CNPS8000A Multi-Socket CPU Cooler Fan . This fan will keep your processor cool even under the most intense conditions. If you are replacing or upgrading a processor in your computer and your fan is over 1 year old, I advise you to get a new CPU fan to go along with the new processor. Fans, like every other computer component, can wear down and break over time and there is no better way to destroy a processor than by having a CPU fan failure. During your time shopping for CPU fans you may have come across the term heatsink or heatsink/fan assembly. Generally speaking, a heatsink is a metal object designed to dissipate heat from another object to which it is in physical contact. They are ideal for use with processors, both the computer's CPU and a graphic card GPU. A fan is added to the heatsink to help remove the warm air and expel it into the case. The case fans then take the warm air and push it outside the case. In years past, when CPUs did not operate at such high temperatures, it wasn't uncommon to see a heatsink with no fan attached at all. Gone are those days as modern processors need the warm air removed by means of a fan to prevent overheating. Thermal compound is placed directly onto the processor and the heatsink/fan assembly is then in turn placed onto the thermal compound. The heatsink is tightly secured onto the processor by means of a latch style connector. Thermal compound is very inexpensive and usually costs less than $10. When applying the compound, be careful not to use too much, only a thin layer is needed for maximum effect. Please see our CPU thermal compound guide for more information. Proper cooling of a gaming computer's processor should never be overlooked. CPU overheating can cause shutdown and crashes at random times making the entire system unstable. I highly recommend the Zalman CPU fans , they work great and are very quiet even at peak performance.